Literature of the southern United States is rich in tradition. 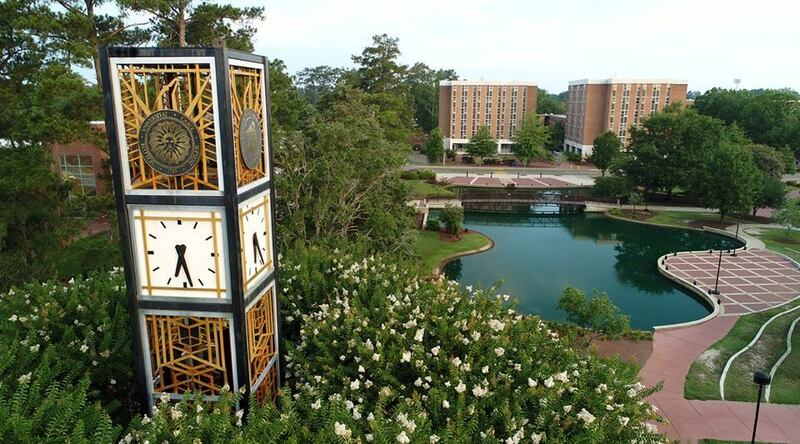 In this episode, Jeff Frederick is joined by Julie Kane, poet laureate of Louisiana (2011-2013) and professor emeritus at Northwestern University, Natchitoches, Louisiana. 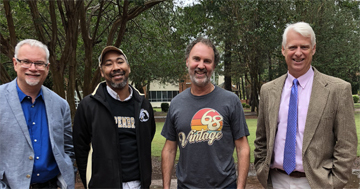 They are joined by Peter Grimes, Aaron Cole, and Richard Vela from UNCP's Department of English, Theatre, and Foreign Languages. There are over 400 million native Spanish speakers in the world today. 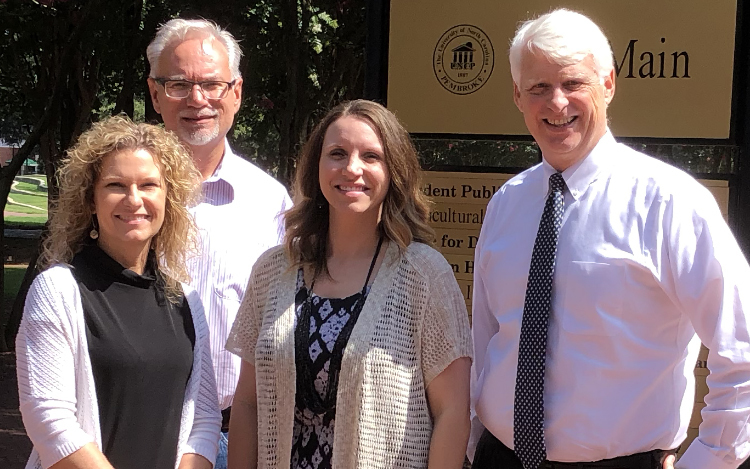 In this episode, Dean Frederick talks with UNC Pembroke faculty about learning and working with the language. He's joined by Diana Lee, Milagros Lopez-Fred, and Richard Vela (English, Theatre, and Foreign Languages) and Christopher Wooley (History). Great teaching requires dedication and hard work. 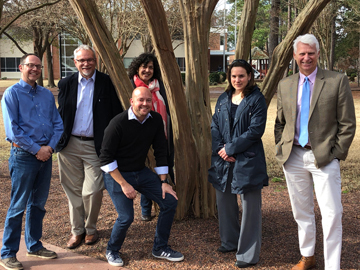 In this episode, Jeff Frederick is joined by award-winning UNC Pembroke faculty who share their tricks of the trade: Melissa Edwards (Mathematics & Computer Science), Michele Fazio (English, Theatre, and Foreign Languages), Scott Hicks (Teaching and Learning Center), and Conner Sandefur (Biology). Why do some diets work for a time and then not so much? Why are chocolate chip cookies so addictive? Dean Frederick is joined by Dr. Jeffrey Kushner (Biology) and Misty Stone (Nursing) to discuss the science of dieting. Many people are crazy about animals. In this episode, Dean Jeff Frederick and faculty from the Department of Psychology discuss human-animal connections. His guests are Dr. Kelly Charlton and Dr. Rachel Morrison. As mentioned in the podcast, here's Jaak Panksepp describing his early studies with tickling rats. For more on a dog MRI see this clip from BBC Earth. 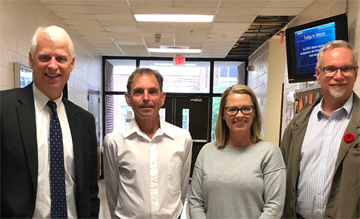 Dean Jeff Frederick discusses the process of starting a small business with Thomas Hall, Executive Director of the Thomas Entrepreneurship Hubb at UNC Pembroke. The year 1968 was a pivotal one in US history. 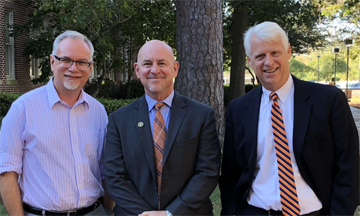 The wide ranging and far reaching events of that year are discussed by Dean Jeff Frederick and his colleagues from the Department of History: Dr. David Walton, Assistant Professor, and Dr. Scott Billingsley, Professor and Associate Provost. Traveling abroad is a great way to learn about the world and ourselves, and in 2017 eighty million Americans travelled internationally. 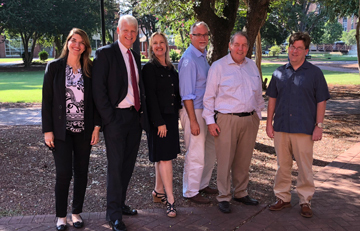 In this episode Jeff Frederick is joined by Jack Spillan (College of Business), Joanna Hersey (Music), Kevin Freeman (Political Science & Public Administration), and Cecilia Lara (English, Theatre & Foreign Languages). They talk about the value of travel and may perhaps inspire you to book a trip. 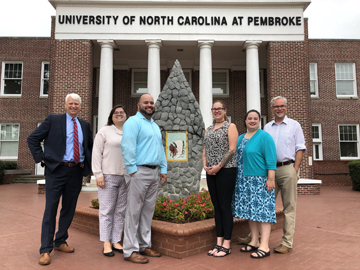 A history class at UNC Pembroke worked to erect a North Carolina highway historical marker recognizing the 1958 ousting of the Ku Klux Klan by members of the Lumbee community. 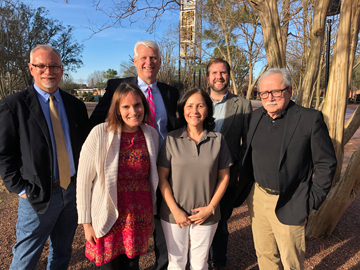 In this episode Jeff Frederick is joined by Dr. Jaime Martinez, Chris Hunt, Katie Sonnen, and Nancy Fields, Director of the Museum of the Southeast American Indian, who discuss the cultural background leading to the historic event and creation of the marker. NC Highway Historical Marker Program official marker page. An article about the dedication with photos of the marker. The topic for this episode is Suicide Prevention & Awareness. 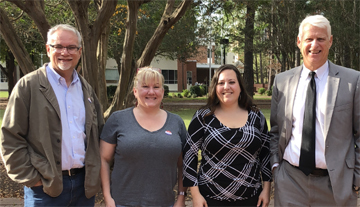 Jeff Frederick is joined by LynnDee Horne (Director) and Charla Suggs (Assistant Director) of UNCP Counseling and Psychological Services (CAPS). The National Suicide Prevention Lifeline provides free, confidential suicide prevention and intervention services 24 hours a day, 7 days a week. Call 1-800-273-8255 (TALK).